Russia’s Sukhoi Civil Aircraft Co (SCAC), manufacturer of the Sukhoi Superjet 100 (SSJ100) regional jet, is in talks with Mexico’s Interjet Airlines, the largest operator of the type outside Russia, regarding the replacement of its outstanding SSJ100 orders with the aircraft’s upgraded versions. The Mexican airline has announced it will be phasing out some of its SSJ100 fleet orders in view of the possible delivery of the modernised iteration, which comes equipped with fuel-friendly blended winglets. The move is a part of new three-year strategic growth plan through 2021, the airline announced last week. Interjet currently operates 22 of the Russian-built jets, all of which were delivered before mid-2016 and, according to the initial contract with the planemaker, the delivery of eight additional aircraft is pending. SCAC has confirmed to Russian Aviation Insider that it has been negotiating the substitution of the outstanding orders with the upgraded versions. Besides the winglets, the modernized aircraft come fitted with new cabin interiors and improved avionics. 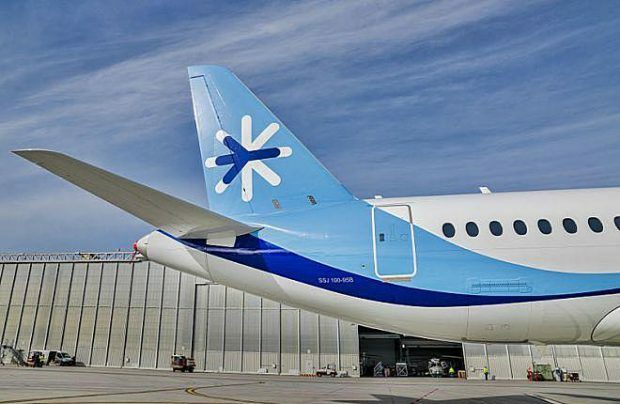 Although no information regarding the possible timeframe of the altered deliveries has been disclosed, Interjet nevertheless remains likely to become the launch customer of the winglet-equipped SSJ100 outside Russia. Inside Russia, the upgraded aircraft’s wingtip additions – dubbed ‘sabrelets’ because of their sabre-like shape – are to be implemented on the 100 units ordered by Aeroflot last week. Sukhoi Civil expects to win certification for the modification approval before the end of this year. “SCAC continues to be a valued Interjet partner and the two companies are in constant discussions to find new and better ways of improving Interjet’s competitive market position as it relates to their fleet and training etc,” Interjet has told to ATO.ru, Russian Aviation Insider’s sister publication. The airline has also denied the rumour, spread in the media earlier, that it was pondering abandoning the type, saying it will only phase out some of the older aircraft in view of the delivery of the upgraded versions. “Superjet 100 has been an integral part of Interjet’s success to date and we will continue to operate this aircraft where it makes operational and economic sense,” Interjet emphasised. The initial contract noted that all 30 SSJ100s would be delivered to the Mexican operator before Q2 2017. However, in late 2016, the airline requested SCAC to provide residual value guarantees for the aircraft to enable the calculation of possible sale prices for when it decides to phase out some of its fleet. In early 2018 the airline reported it had suspended operations of four aircraft due to alleged delays in engine maintenance. The original equipment manufacturer assured it was supplying the parts and components ordered by the carrier on time, but noted that the size of the spare parts pool depends heavily on financial issues. As of mid-September, public flight tracking services have shown just 12 of Interjet’s SSJ100s operational. XA-JLP has been grounded since April 7, XA-LME since May 28, XA-ALJ, XA-BVM, XA-BVM and XA-NGO since June 15, 19, 22 and 28 respectively, and XA-BMO and XA-PPY since August 6 and 9. Finally, XA-PBA remains in storage after it collided with an airbridge at Mexico City airport in late 2015. According to Interjet’s Q2 2018 report, the airline’s operational expenses surged by 21 per cent year-on-year, reaching 6.2 billion pesos (US$329 million) due mainly to fuel cost spikes, the devaluation of the national currency and increasing leasing and maintenance costs. It also mentions a $39 million compensation cost for the extended downtime of its SSJ100s. At the end of Q2, Interjet posted $307 million revenue, up 9.6 per cent year-on-year. In the same period, it reported a net loss of $7.5 million against $6 million profits for the same period last year. Today Interjet’s total fleet amounts to 85 aircraft, including 47 Airbus A320s, three Airbus A320neos, six Airbus A321s, seven A321neos, and 22 SSJ100s. The airline has an order for 35 Airbus A320neos, and is planning to add 20 more A320neos to be delivered over the next five years.